As a SEO, high up in the hierarchy of needs is a good SEO tool to help with analysis and strategy. 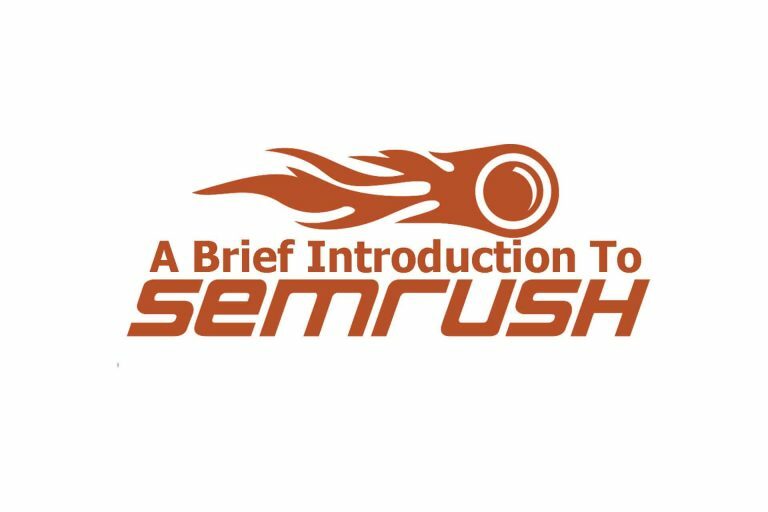 Today, we will be exploring the basics of SEMRush, which is an all-encompassing SEO tool that is suitable for usage by beginners and veterans alike. It offers many features, no matter the stage of SEO you are at. For the purposes of this post, I will structuring information based on the core components of the available SEO toolkit. Overview of organic keywords ranked and organic traffic. This is where you can view summarised data of the domains you are tracking. A domain is essentially the name and extension of your website. For instance, our domain is thinkingnotes.com. In here, SEMRush shows you the number of organic keywords you are ranking for, number of organic traffic, as well as ads keywords and ads traffic that you are ranking for. You can toggle the data being displayed to either a month or a year. The dashboard also contains data summaries for position tracking, site audit, backlinks audit, on page SEO checker, brand monitoring, and even a social media tracker! The dashboard basically offers a bird’s eye view of the performance of your domain. Graph of organic traffic over time as well as organic keyword positions. You can gather information about how well your website is performing here. By entering your domain, you get to see information such as what keywords are ranking for your domain and their current position in Google (you can toggle the country to see local rankings). You also get to track positional changes overtime, which is a good indicator of whether your web optimisation strategy is working or not. Furthermore, there is a competitor tab that lets you see current and potential competitors through the number of common keywords you are ranking for! Next up, we have the pages tab which shows the specific pages that are ranking for keywords and the ratio of traffic that goes into the pages. Domain analytics also feature a component that is integral to your SEO efforts: the backlinks tab. It displays the number of backlinks (number of referring domains shown as well) pointing to your domain, type of link (text, picture, form and frame), as well as which page the backlink points to. With all these information, you will be able to tell which are your top-performing content as people deem it worthy to link to. There are also similar tools for ads-generated traffic, but we will not explore those in this post as our focus is on SEO. Overview of search volume and trends of a keyword. By entering a keyword you want to analyse here, you will get to see the search volume of the keyword plus the number of results showing for it on the search engine. In fact, this page also shows you the first 100 search results for the keyword. Results for phrases that contain your keywords are shown as well in addition to other related keywords, which may help your creative process in creating content. Default page for Keyword Gap. Default page for Backlink Gap. This is a new feature implemented recently by SEMRush, and is quite interesting. It features two kinds of gaps – Keyword Gap and Backlink Gap. Keyword Gap allows to compare multiple domains at once to assess keywords that are missing from your website. It allows you to see where you are falling behind in ranking for keywords. There’s also an advanced mode where you get to specify the type of intersection, which allows you to display the keywords of domains by common, unique and all search queries, and also search terms unique to the first domain that you enter. On the other hand, Backlink Gap lets you pit your domain against other domains to find untapped backlink opportunities. This can be used as an information resource of which domains to target for your backlinking efforts. Results of searching “riceballs” as a topic. A feature currently in beta stage, Topic Research “[analyses] your rivals’ content and give you ideas to write winning content”, in SEMRush’s own words. When I put in “riceballs” as a topic, a number of possible topics pop up, such as “How to make Indian Riceballs”. By experimenting with various words, you would easily find a good topic to write about from the data supplied by Topic Research. This just about covers the core functionalities of SEMRush. There are a plethora of ways and use cases for SEMRush, so choose one that best resonates with your SEO style and purpose! If you require help in executing web strategies for your business, feel free to contact us!